In his IFA 2018 keynote titled ‘The Ultimate Power of Mobile AI’, Huawei Consumer Business Group CEO Richard Yu introduced the Kirin 980, the system on a chip (SoC) that will bring about the newest evolution of mobile AI. 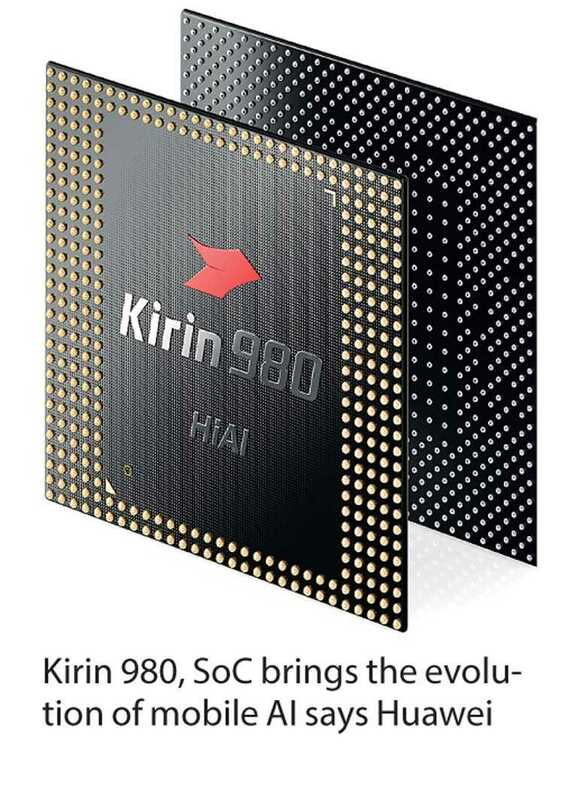 As the world’s first commercial SoC manufactured with the Taiwan Semiconductor Manufacturer Company’s (TSMC) 7nm process, Kirin 980 combines best-in-class performance, efficiency, connectivity features and Dual NPU AI processing power. Therefore it’s evident that the 10nm Kirin 970 SoC that is powering Huawei’s flagship devices will soon cede its ‘cutting-edge’ title to 7nm. Huawei has a stellar track record of leading chipset development. Going back in recent history, while other manufacturers were designing chips for the 20nm process, Huawei unveiled the first 16nm chip with Kirin 950. And leading the trends as usual, just within a few months of launching their latest model nova3 series, Huawei launched Kirin 980, the world’s first commercially available 7nm chipset. The Kirin 980 integrates 6.9 billion transistors in an area of less than 1 square centimeter which is a 1.6x increase in density to empower better performance. With this introduction of the Kirin 980, it is deduced that 7nm technology will improve processor speed by approximately 20% and consume approximately 40% less power compared to 10nm Chipset embedded in Mate 10. The efficient performance of the device is driven by the faster switching transistors and the power efficiency is due to a lower resistance and therefore lower current requirement for switching the transistors. To add to the many benefits of a denser chip, due to the less power the chip generates, less heat will be generated from the device. Alternatively, a smaller chip can enable the designers to embed more exciting new features such as AI processors, ISPs and DSPs, and flaunt its features. So introducing the latest 7nm Chipset has enabled the designers to give the smartphone users an efficient, power saving and comfortable experience integrated with improved and exciting features. In addition, the Kirin 980 boasts the industry’s first Dual-Brain Power. The Kirin 980 can quickly adapt to AI scenes such as face recognition, object recognition, object detection, image segmentation and intelligent translation with the power of a dual-core NPU achieving 4,500 images per minute which is an improved 120% recognition speed. So whether it’s dancing to a fast song or quickly running in front of the camera, the Kirin 980 can focus on the joints and lines of the human body in real time. The powerful object detection capabilities can also accurately identify a variety of objects. In comparison to the Kirin 970, the Kirin 980 is an impressive leap from image recognition to object detection. The Kirin 980 sets the foundation for future AI capabilities by providing complete framework support and rich tool keys for app developers. The Kirin 980 is the first to offer LTE Cat.21 which supports the fastest downlink at 1.4 Gbps and offers a stable connection in congested areas. With the Hi1103, it supports a theoretical peak download speed of 1.7 Gbps and 160 MHz bandwidth, which is 1.7x the industry level. The GPS is supported by industry leading L1 + L5 dual frequency ultra-precise positioning to give you a more accurate target location when using map navigation, even in complex terrains. Huawei confirms that a state of-the-art-smartphone, unveiling the Kirin 980 for the first time in the smartphone industry, is expected to make its debut in October in the international markets. With this news, reviewers predict that Huawei’s next device could well be the best Android device to come out in 2018, and consumers won’t have to wait much longer to experience the power of the 7nm Chipset. In Sri Lanka, Huawei has succeeded in securing the number one position in smartphone sales according to recent GfK reports. Poised as the most preferred smartphone brand among Sri Lankan consumers, Huawei aims to enhance the lifestyle of all consumers by offering the best quality state-of-the-art smartphones at an attractive price.